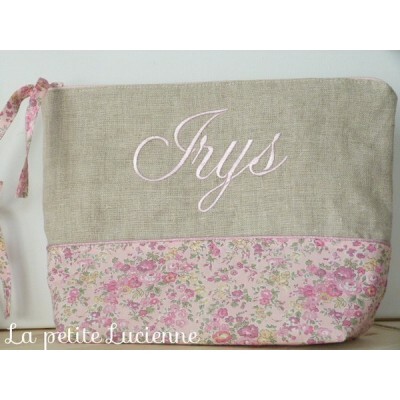 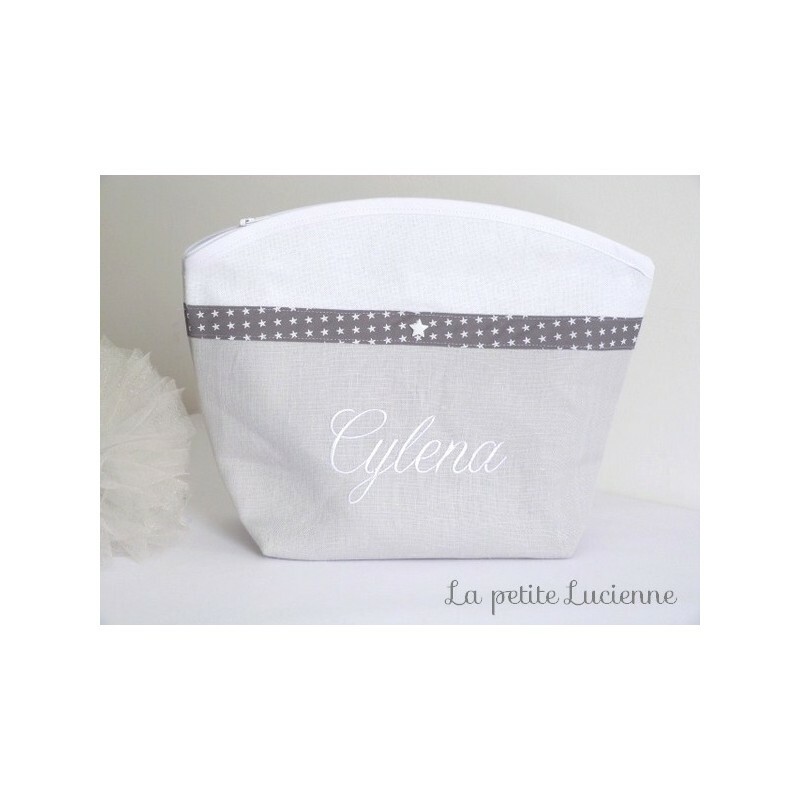 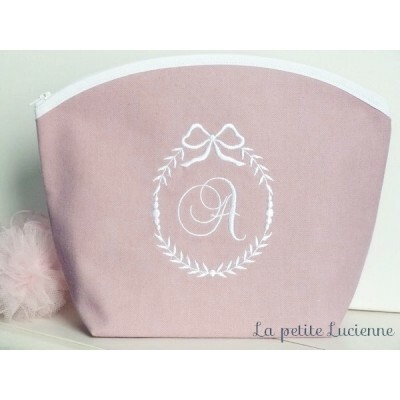 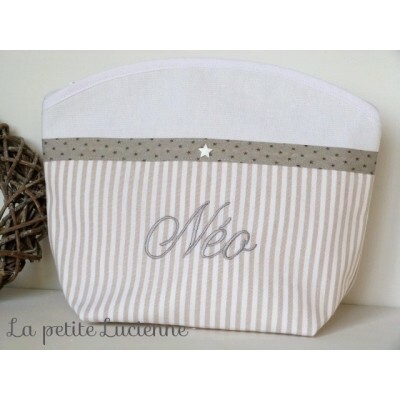 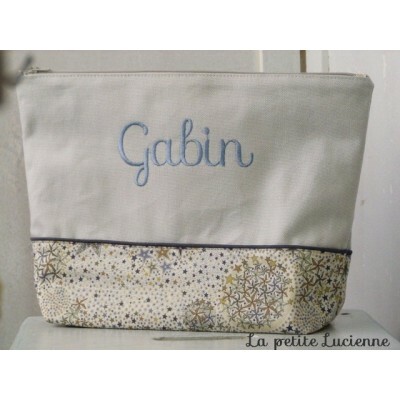 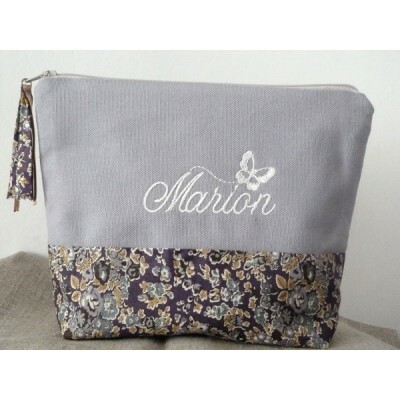 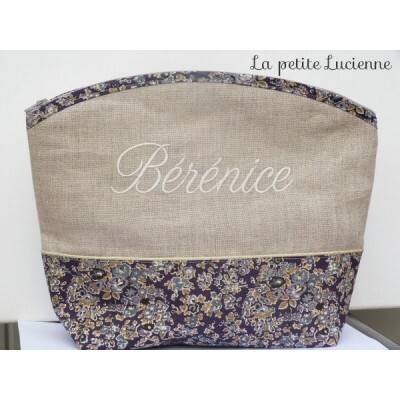 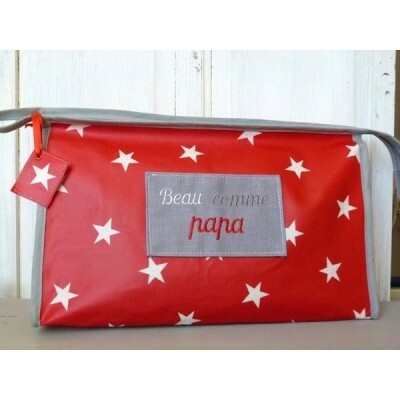 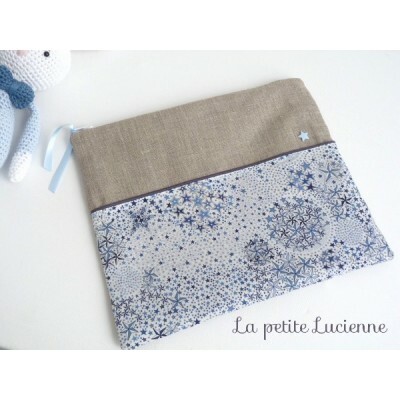 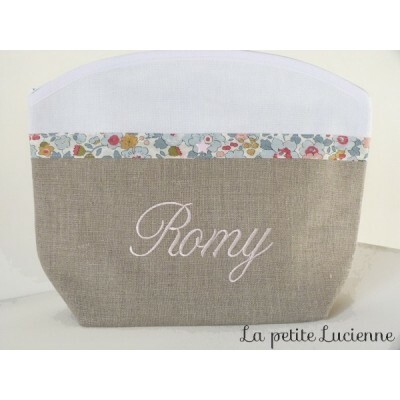 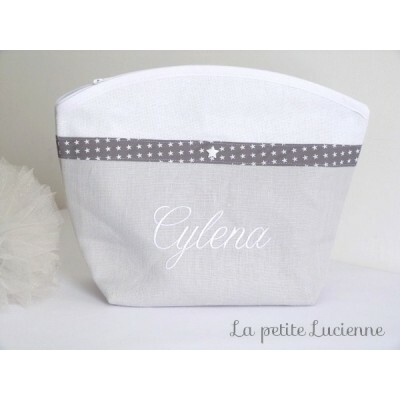 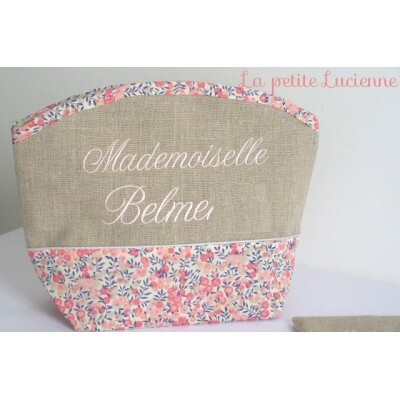 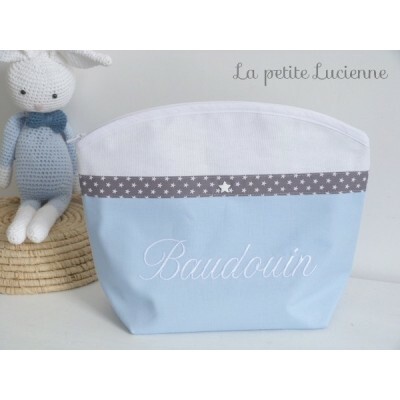 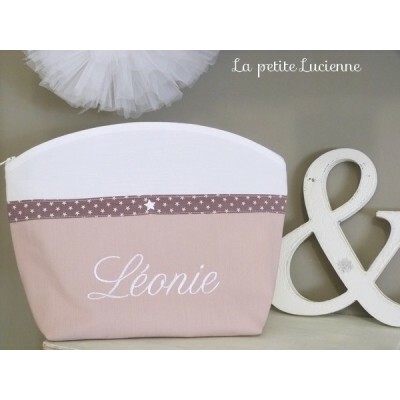 This beautiful customizable toiletry bag is made of pearl gray linen and will be embroidered according to your wishes. 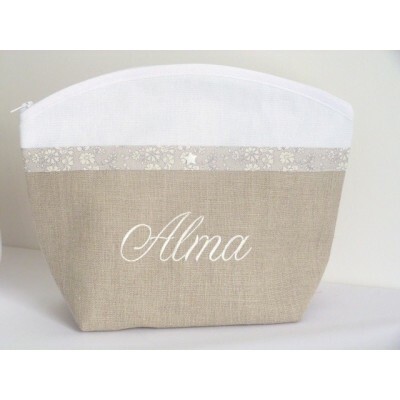 A delicate gray bias with small white stars highlights the embroidery. 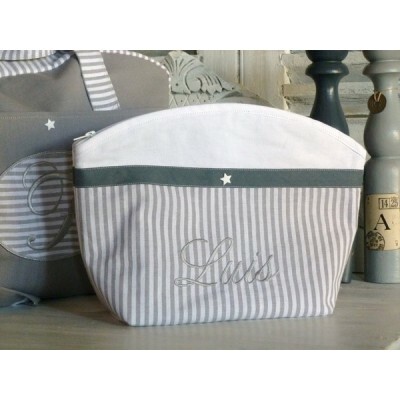 This gray linen wash bag is a unique and original gift for all occasions. 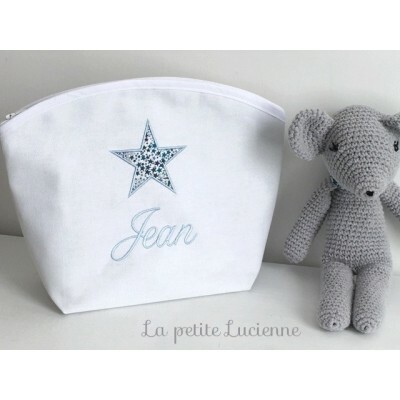 Sober and elegant it can suit all ages, little tips to moms. 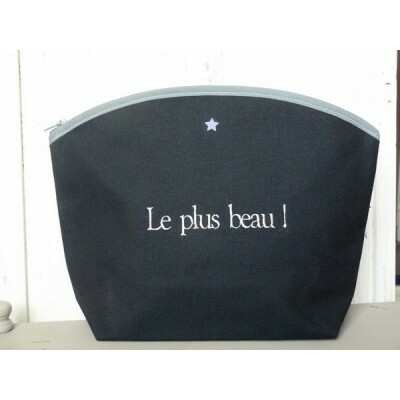 Generous size, this customizable kit will contain all the necessary toiletries (liniment, wipes, ... shampoo, makeup, ...). 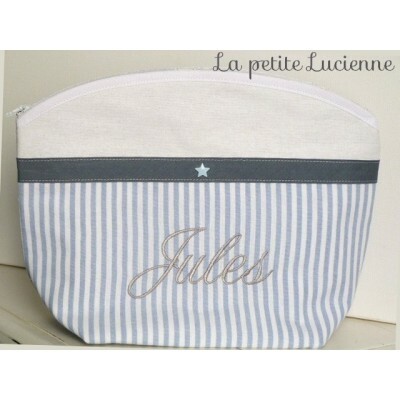 The interior of the personalized kit is made of coated fabric making cleaning easy. 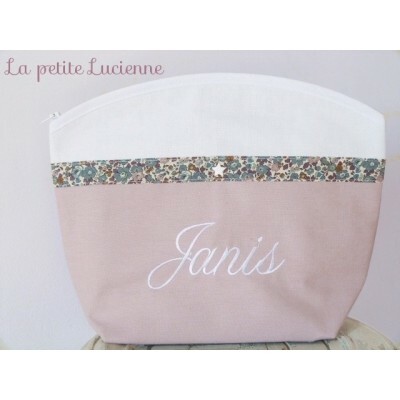 This kit is made by me, so if you want I can do it according to your colors or desires.